Acid Pro 4.0, Loop Sequencer from Sonic Foundry in the Acid Pro series. This is a great program that is very deep while also keeping to its roots and being easy to use. I work with hip hop and this is a great program for that because all of your loops and samples sync up to a master tempo, and with the loop preview, its easy to try out different ideas. 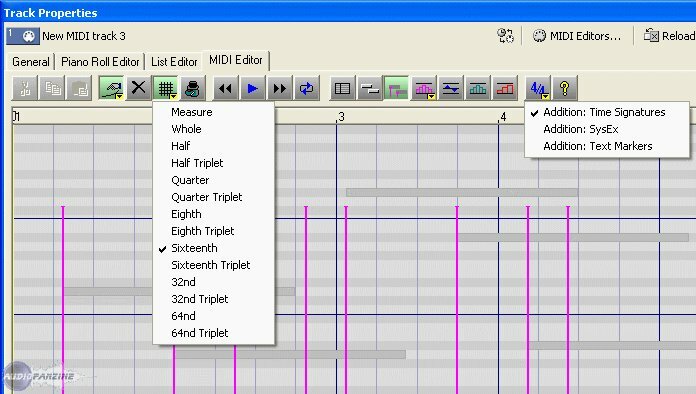 The Midi sequencer is very easy to use and edit, applying different grooves and quantization, etc... Editing is also incredibly easy and fast. I picked it up very quickly because I am a recently graduated college student and editing in Acid Pro is very similar to editing a paper in microsoft word, which I have a lot of experience with. It was very easy to set up and get running, I only had 1 crash with it on my windows vista computer but that could be because I havent upgraded to the service pack 2 yet and my system has been very unstable for some odd reason. But besides that it has ran and work great. 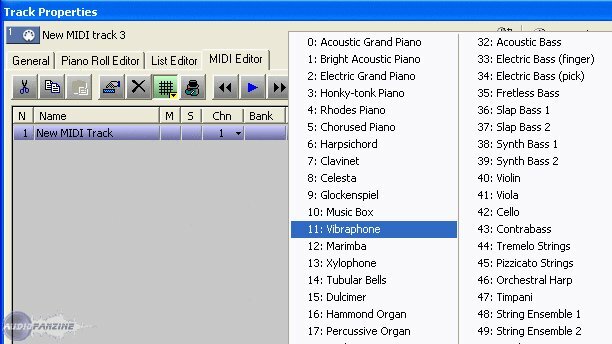 I didn’t even need a manual because if you have any understanding of midi software then you will be able to use this program without a single problem. Overall, acid pro has, many strengths, and Where this program's strength really lies though is the main screen where all the action happens. Audio tracks are right next to midi tracks, the mixer is right below that, and windows explorer is just to the left of the mixer so you can import your files quickly. These windows can also easily be stretched and re sized depending on which part of production you are currently working on. With everything on one screen like this, its much easier to stay focused and not be overly confused by numerous intimidating sub menus and stuff. I like the way I write songs with this program and with vst support, I can mix and master inside Acid. Last but definitely not least, the included software is great; especially the garritan aria player - very realistic and inspiring orchestra and other instrument samples. I actually end up using the free sounds that came with the aria player I think more often than the numerous patches inside my other favorite program, reason 4. Acid Pro 7 is a very easy and inspiring program. Try the demo and you will see just how easy it is. 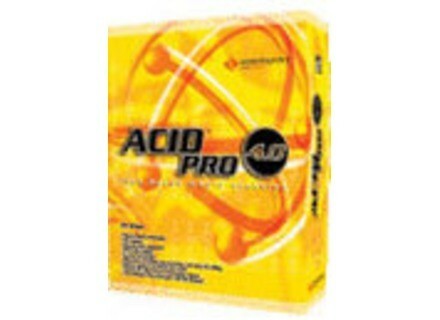 From Chopping to Recording,, acid pro is one my main tools for production. 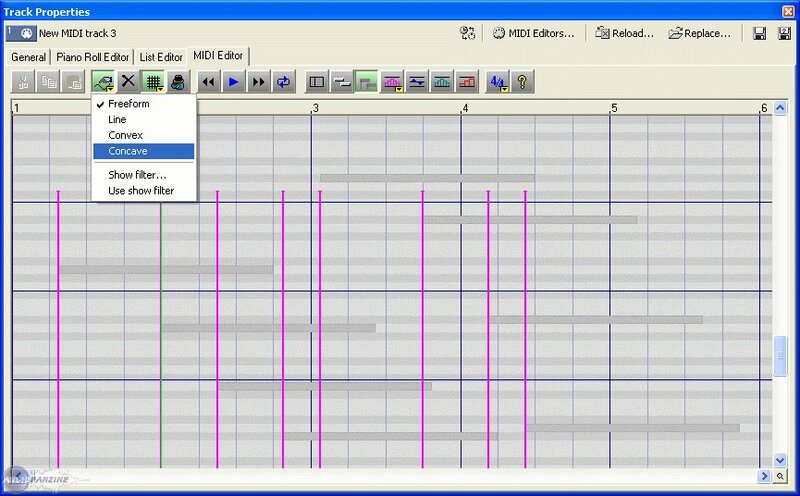 I like the &quot;beatmapper&quot; feature, makes it easy for grid spacing,etc. Also has a great selection of effects, not that great but i have Waves gold plugged in so it does the job. Easy as soon as u start!~! Lyk i said in my earlier statement, &quot;One of my main tools in my studio&quot;. The features are AWESOME. The &quot;beatmapping&quot; feature is great, it maps each beat of an audio loop, and works out the BPM (Beats Per Minute) and adjusts it to that of the project. If you want to keep the same pitch then you can do with a click of a button, it then automatically time stretches it for you. Later you can adjust the BPM of the whole project and ACID will adjust each audio track in real time. This is one of Acid Pro's Key Features. It's so easy to &quot;chop&quot; and &quot;slice&quot; samples. I use the mouse wheel to zoom in, or out, and I can then chop small parts of an audio file, and moving the chops around us as easily as holding the left mouse button down and moving the mouse. This allows me to do exactly what I want to do. Another great feature is the ability to rewire to other software. I can have Acid Pro, Reason, and FL Studio all working as one, simultaneously! You have to see this in action to understand how great and useful it is. I can program drums in FL Studio, all my instrumentation in Reason, and chops of samples in Acid Pro. Other good features are: Markers - you can create a marker to mark where something in the song is, this could have many uses, (i.e., you could mark where each verse and chorus begins) Envelopes - These let you automate the volume of any specific track, and also automate the pan. Effects - Each Acid also supports VST instruments, DX effects, and probably some other things that I'm just not aware of. It's VERY easy to use, though I've been using it for over a year and I learn things easily. I can't remember if it was difficult to use at first or not. Moving around the software is very easy, I use a lot of the keyboard shortcuts and stuff so I can be really quick. I'm not sure, I've never used it for recording, and I think playback sound quality in software relies heavily on the soundcard and monitors. I'll say 10 - if you have a great soundcard. I love it, it's easy to use and helps me do what I want to do. It's the centre of my software studio! Simple installation, no prob compatibility of software easy to use. I was on ACID 3.0 no prob. I install the 4.0 and it's bugs and crashes in crachouillis SERIES. if not much progress pde ergonomic. KEEP ACID 3.0 or wait for them to correct their bugs !!!!!!!!! it looks like Sonic Foundry practice policy microsoft beta testers. Software not finished. Including MIDI, which is clearly improved compltement Bugu but for now, it s'avre trs hard to change its noon.